Most business owners & marketers know that SEO strategy is key to driving business. A Pew Internet Research study revealed that more than 80% of the population turns to the Internet to research or find goods and services. As a result, investments in SEO strategy in order to rise in organic (non-paid) search rankings are one of the most important expenditures in your marketing budget. What many business owners still don’t know or understand is that the Google algorithm has gone through roughly 100 massive changes since 2011, with huge ramifications for SEO strategy. In simple terms, SEO has been forever changed, and what used to work to rise in organic search rankings now can get your site penalized and dropped in the rankings. Google Panda Basics: Introduced in February 2011 with many subsequent updates, Google Panda affected 12% of English-based search results worldwide, according to Google. Panda penalized Web sites with “thin content” (poorly written, or with no substance), high ad-to-content ratios, and plagiarized content. The good news: Thousands of spam sites disappeared virtually overnight and dropped to the 10,000th position once the Panda updates were launched. The bad news: Many legitimate websites with poorly written, low-substance content, plagiarized content, or high ad-to-content ratios also got hit. Google Penguin Basics: Introduced in April 2012, with many subsequent updates, Google-Penguin identifies and penalizes Web sites that violate Google’s content quality guidelines and Web sites that use “black hat” (unethical) SEO techniques to improve Web site rankings. The good news: Web sites with poor-quality content or overly aggressive, unethical SEO strategies are being penalized and dropped in the rankings. The bad news: Legitimate Web sites with even a few poor-quality pages are being hit, and dropped in the rankings. As mentioned, Google Panda & Google Penguin went through wave after wave of changes for years. Other Google algorithm updates have occurred since then with code names like “Zebra,” “Hummingbird,” and more. 1) Many websites that had been ranking well dropped dramatically in the search engine rankings. Panda and Penguin updates focused on seeking out and destroying the rankings for poor-quality websites and websites relying on “black hat” (bad guy, cheater) SEO strategies & tactics. But while these updates were designed to penalize the “bad guys,” a lot of legitimate websites took a hit, and dropped significantly from where they were originally ranking. 2) Websites lost thousands of back-links. Back-linking from other Web sites to a company’s Web site was a common strategy to increase rankings. But the “cheater” method of getting credit for back-links was to set back-links into a website from totally irrelevant websites. An example of this would be: a back-link is set from Joe’s Bar and Grill in Buffalo, New York into the website of a medical spa in Colorado. Some companies had 1,000s of these types of irrelevant back-links. Once Panda and Penguin hit, many companies saw thousands of their back-links literally disappear overnight, and they lost ranking points. 3) Websites with keyword stuffing were penalized. Keyword stuffing is a technique where SEO professionals stuffed the keyword all over the page, in the page source code, in whited out copy at the bottom of the page, etc. to help that page rise in the rankings for that targeted keyword. The algorithm changes rendered keyword stuffing both obsolete and “illegal.” Stuffing the same keyword 100 times all over the page and source code now drops you in the rankings. Here are five steps businesses, organizations, and non-profits can take to adjust their SEO strategy & make sure they’re adhering to the new standards for rising in the search rankings. Step 1: Assess whether your website was affected by Panda & Penguin updates. Dive into your website analytics (if they were set up back in 2010 and 2011). 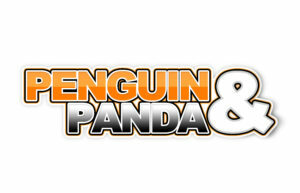 Compare website traffic in 2010 to February/March 2011 (Panda debut), and in late April/early May 2012 (Penguin debut). If website traffic dropped, then your website was affected by the Panda & Penguin updates. Step 2: Learn about Google’s content quality standards & adhere to them. Your SEO consultant should be familiar with the new standards. But it’s still wise to have a chat with them, ask what they know about the algorithm updates, and ask them to explain their updated SEO strategy and how it meets Google’s content quality standards. Step 3: Review & modify your SEO strategy. Thanks to the many and varied Google algorithm updates, many universal SEO strategies and tactics either don’t work anymore or actually harm your ability to rank. Look at the variety of strategies being used to help you rank: ditch the old-school SEO tactics and adopt the new-school SEO tactics that help your website rank. Step 4: Update your website with updated and new content & content optimization to help you rank better. 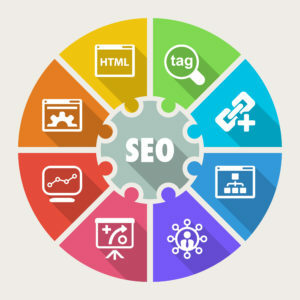 An SEO professional following “White Hat” SEO practices (legal, “good guy” techniques) should review your website’s content architecture, on-page content, and Search Engine Result Page snippets, and make a detailed list of what needs to be updated or changed. Content may need to change. Writing quality and length may need to be improved. Keyword optimization must be reviewed on the back end of the website. Most websites use the Yoast SEO tool. If that’s been installed on your website, an SEO professional can review what’s there and tell you if it meets the new standards…or not. Step 5: Stay on top of your SEO program. The “face” of Google who regularly speaks and explains the latest algorithm updates is a Google engineer named Matt Cutts. He’s been widely quoted as saying, “If you think there have been lots of changes, you ain’t seen nothin’ yet.” More algorithm changes are coming. 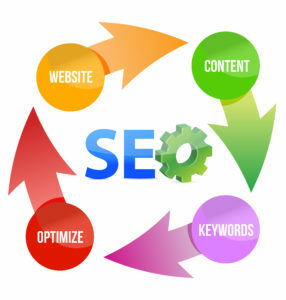 Plan for them, and plan to update and modify SEO and online marketing strategies to meet the new standards. A return to an emphasis on quality writing. Businesses, organizations, and non-profits that want to improve their search engine rankings for optimal website traffic and lead generation must assess if their SEO strategies are in compliance with the new standards.